On the 5th Day Of Christmas...... Pillsbury gave to me la, la, la, and a doughboy. 12 Days of Christmas continues here at Maria's Space with my 5th Giveaway of the month. 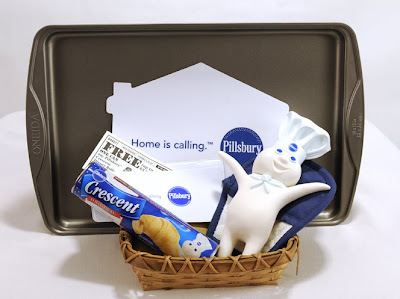 Taking a page right out of Oprah's Favorite things...Pillsbury has graciously offered to give 3 of my readers a Pillsbury Home is Calling Gift Basket. and a loveable Pillsbury Doughboy figurine. Pillsbury is paying it forward by helping Feed America. Every time you send this commercial to a friend, Pillsbury will send 1 lb of groceries to food banks, worldwide. As you prepare for the holidays please remember the millions of families who go without during the season. Support Pillsbury products and support your local food pantries. You might be surprised who needs to go there for their families holiday dinner needs. Thank God there are facilities like this around the United States and thank God for companies like Pillsbury who are helping feed the world. Head over to Pillsbury, and email the commercial to support their cause, check out the many recipes using their products like Thai Turkey Rolls with Peanut Sauce, Chocolate-Chip Cinnamon Breakfast Ring, or Overnight Sausage and Egg Casserole. Yum. Hungry just thinking about it. We never run out of Grands or Crescents in this house. My kids love them! 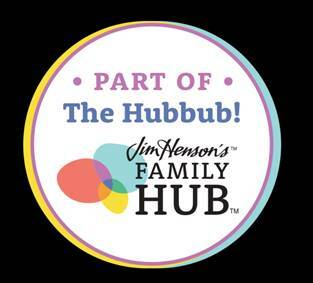 Leave a comment telling me your favorite part of family meals or your favorite Pillsbury product or recipe. The Contest ends on November 22, 2008 at midnight. A Winner will be selected by Random.org and notified within 2 days. You have 3 days to claim your prize or another winner will be selected. Subscribe to me by email or to my feed. My favorite Pillsbury product are the sugar cookies. Thanks for the giveaway! I Love the cookie doughs they have..and the Pie dough YUM. Makes life easier! Brownies are my favorite Pillsbury product. I love the Biscuits and the Cinnamon rolls. YUMMY!!! I have always loved anything and everything Pillsbury makes, but since I am REALLY bad at making pie crust, I love their refrigerated pie crusts, so easy and tastes good too. My favorite part of family meals, when I have them is catching up on everyone's news. I love Thanksgiving because I get to see lots of family. Thanks for the contest. I'm a big fan of the crescent rolls. I've made corn dogs, pizza, and pot pies with them. And so many more! Thanks for the great contest! There are so many great Pilsbury products, it is hard to choose just one. If I had to I guess it would be the cinnamon rolls. YUMMY! I like Crescent Rolls. I use them for quite a few dinner dishes. We use the Pillsbury products to make veggie rolls and pizza rolls. I enjoy pillsbury flaky biscuits...yum! I love the Crescent rolls. If ever I'm crunched on time for dinner I make ham & cheese roll ups, pizza pockets, or italian meat roll ups with them! So great! My favorite part of a special meal like Thanksgiving is when we all sit down to the meal that has been labored over and listening to the comments and compliments and conversations. i love their sugar cookies that they have during halloween and easter and christmas!! sooo good! My favorite part of meal time would be gathering at my table with my family for any meal of the day. Dinner is most important for us in my home because it gives us all a chance to catch up each others day. See I have 4 children ranging from 4 through 16 so although it gets crazy we love just being together teasing each other. My favorite item would be the Pillsbury Cinnamon Rolls. Yummy and sticky wow how delicious. I like the new spinach & cheese Savory Bites! 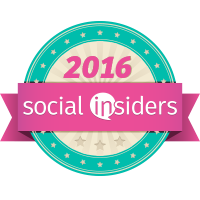 I added your contest to my list of blog contests! There is just my 16 year old son and I left at home. My favorite part of the meal is hearing him say grace. I love the orange danish!! We made the chocolate chip cookies yesterday. I use grands biscuits in our dinner plans quite often. we love the crescent rolls! 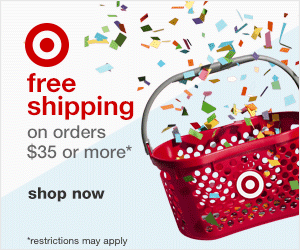 this is a great giveaway!! I love the crescent rolls. We eat them just the way they're supposed to be eaten, but my son also loves them wrapped around hot dogs! Thanks for the chance to win! I subscribed to your feedburner! I also put your button on my sidebar. My fave pilsbury product hands down is the Cinnamon Rolls! I have your holiday button on my blog. My favorite Pillsbury product is the Crescent Rolls they make my life easier during the holidays. I always loved their crescent rolls! Favorite part of family meals are the things you learn at the dinner table. Discussing your day is the best part to end each day!